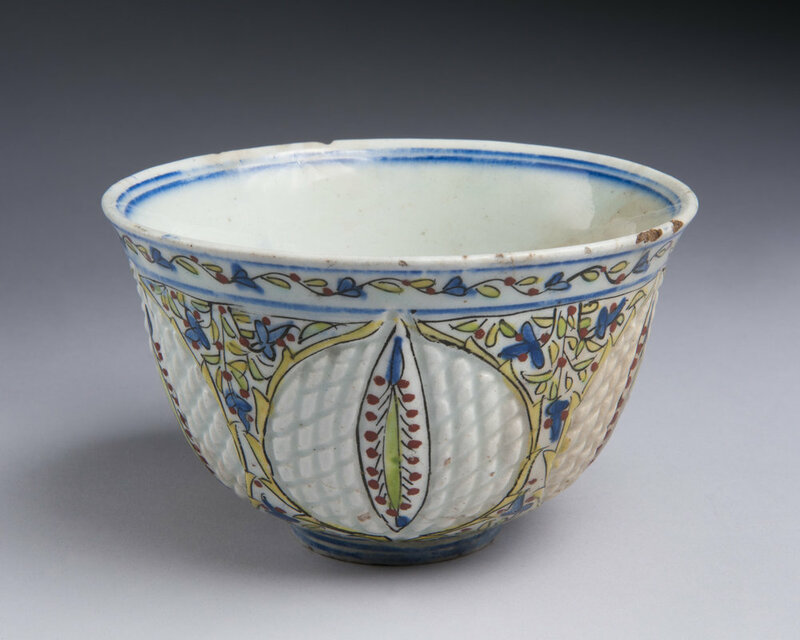 Most Armenian ceramics over the centuries were destroyed by foreign invasions but three ceramic traditions have survived, the Armenian ceramics of Iznik, Kutahya and Jerusalem. 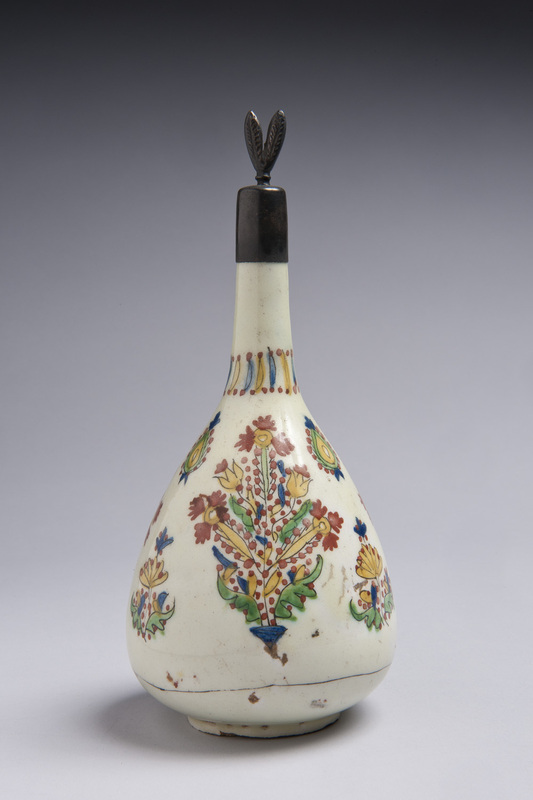 The earliest works of the Iznik tradition (15th to 17th century) were by Armenian artisans but they were soon joined by several other ethnic groups. 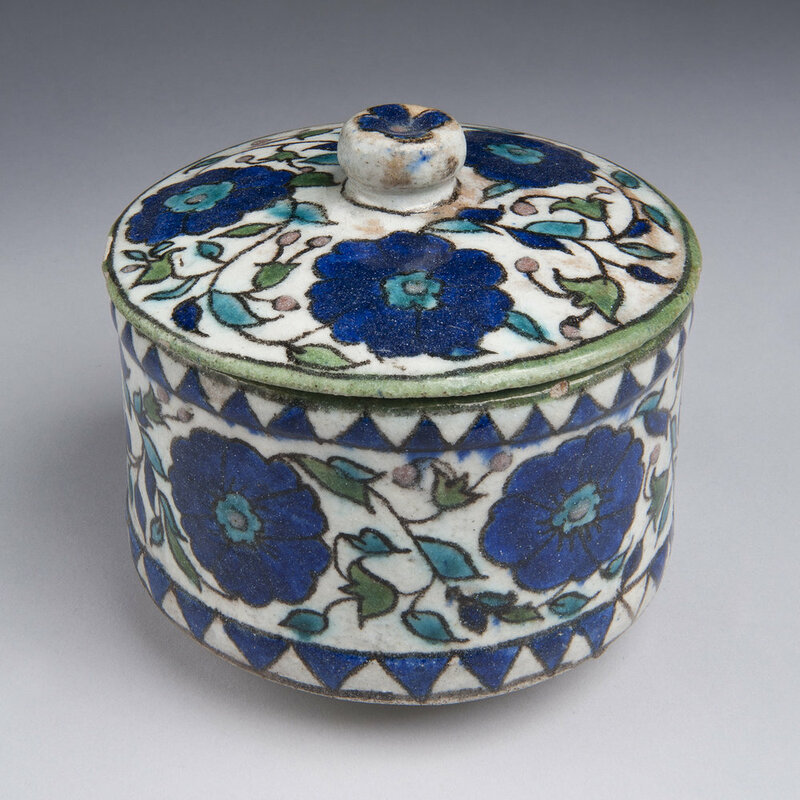 The Iznik pottery was a form of frit ware with cobalt blue painted under a transparent oxide. 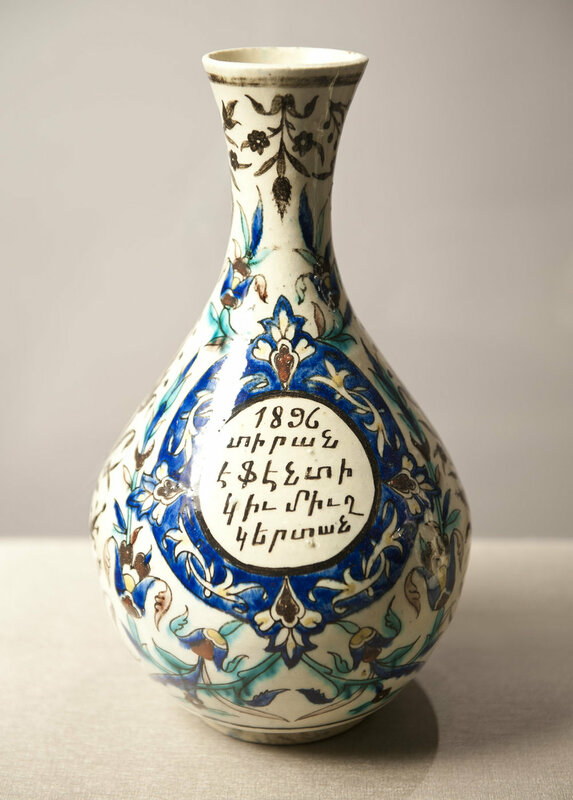 The tradition was originally a new Ottoman style strongly influenced by Chinese blue and white pottery but by the 16th century turquoise, green and bright Armenian bole (red) became characteristic. 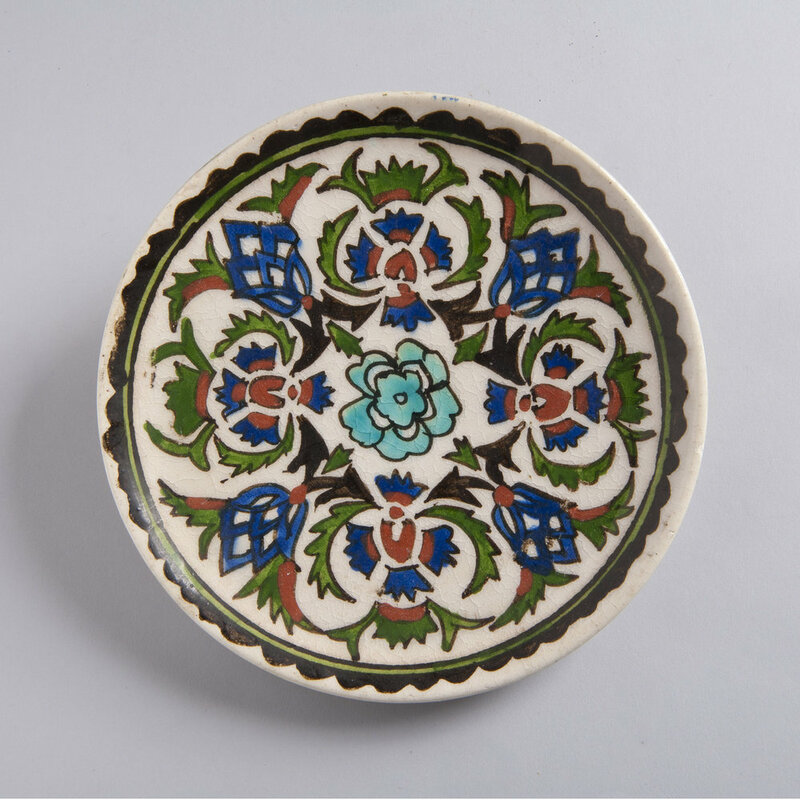 When the tradition in Iznik faded the Armenians of Kutahya supplanted them.Kutahya pottery flourished from the 17th – 19th century, but peaked in the 18th century. Kutahya was used mostly for domestic goods and church repair. Jerusalem pottery is being made in the 20th – 21st century by descendants of the Kutahya industry. 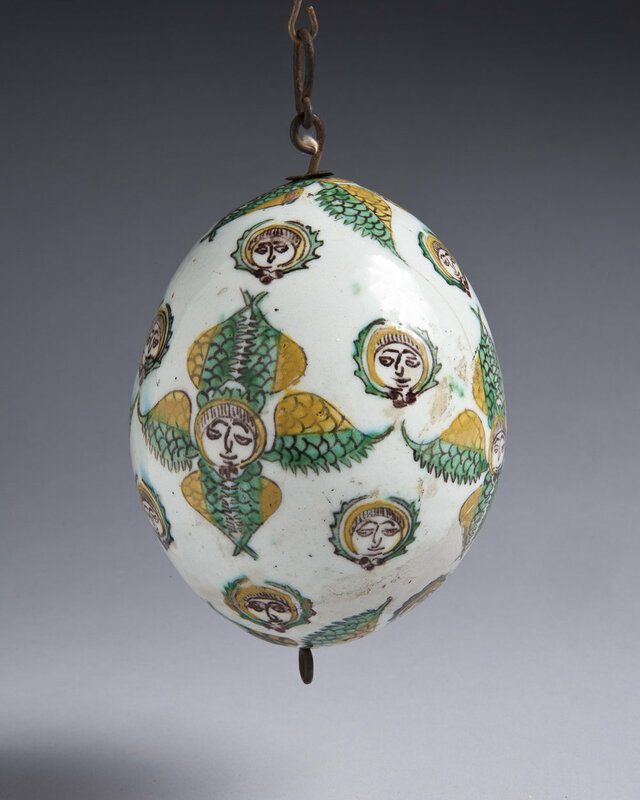 Iznik ceramics were the highpoint of Armenian and Ottoman ceramics. 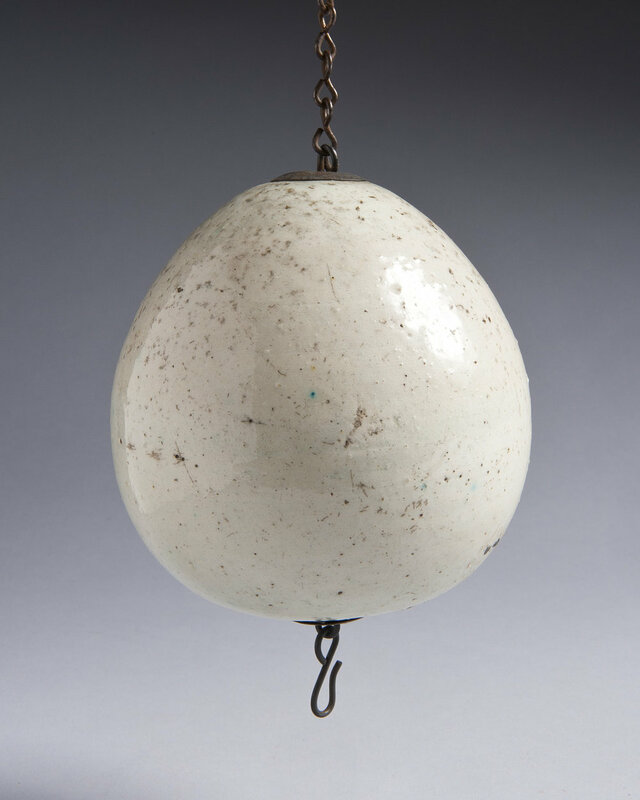 Unlike the later Kutahya objects, this would have been used by the elite. Ironically few example of Iznik vessels survive in Turkey today as the Sultans focused on collecting exotic Chinese imports as prestige objects. Iznik tiles still may be seen on the walls in mosques and palaces but most surviving Iznik vessels and plateware are in foreign collections, including the Armenian Museum.